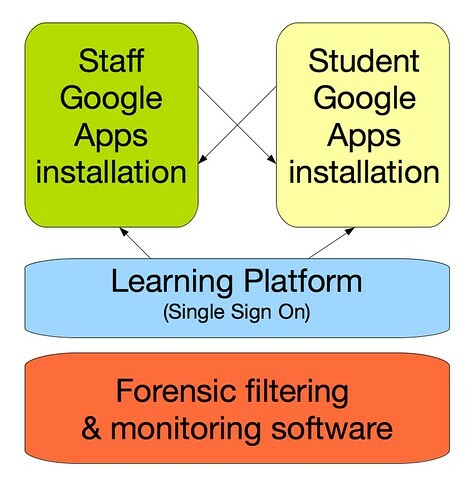 E-safety: the ‘googleability test’ (a suggestion). Any educator launching into the world of social media has to know its risks. One evening, after reading several posts on Twitter, it was mentioned that school Acceptable User Policies were declaring that all contact with students on social media was to be avoided. There are strong cases for and against its use. Most important is where the very public nature of social media spotlights professional conduct, where it is used as a vehicle for bullying, or presents us with evidence which we might need to flag up or report to a higher authority. Teachers worry that their natural way of conversing; expressing themselves after a frustrating day, or humorous posts about their personal life could compromise their position at work and result in a telling off from a superior. Yet we teach children to mind themselves online. Within reason, do we not need to consider the same? My belief is that as more students and NQT’s are educated about their use of social media, so the number of incidents which have resulted in censure will become less. Goodness knows I’ve tried my best to put together some reasonable Acceptable Use Policies and ‘Digital Guidelines’ in the past. I think that we have to come to terms with the fact that people live increasingly large amounts of their lives connected via social media. So if you’re a teacher, use Twitter and occasionally swear, then protect your updates. If you don’t, and mind what you say, then as you were. Using Google (or any search engine, for that matter) to search for an educator should bring up positive results on the first page. If it doesn’t, you’re doing something wrong.